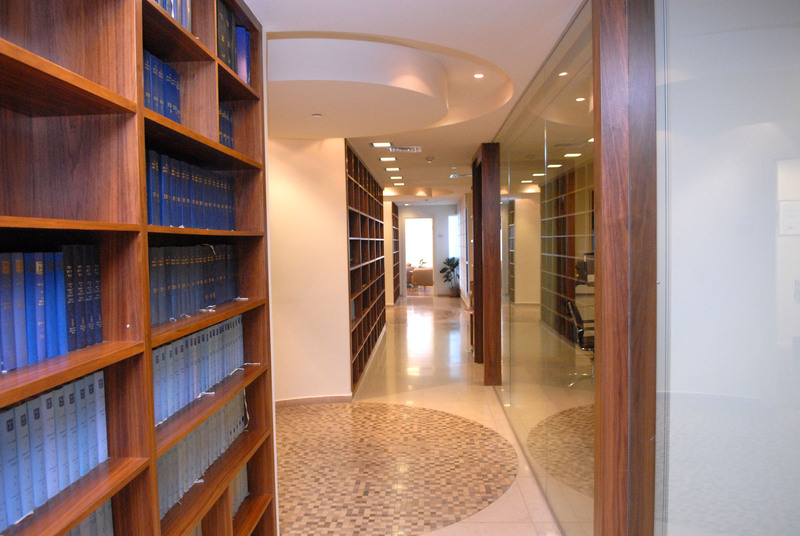 Dr. M. Druker & Co. is one of Israel’s outstanding law firms specializing in taxation law and also provides expertise in commercial law and real estate law. Dr. Moshe Druker, one of the country’s leading advocates and accountants, established the firm in 1964. Together with one of the country’s most capable and effective teams of legal experts, Dr. Druker has led the firm into its current preeminent position as one of Israel’s most prominent law offices. Dr. M. Druker & Co. is renowned in the legal and business community and tax authorities as a “boutique” firm, providing unique and creative solutions to a broad variety of tax-related issues, both civil and criminal, while placing emphasis on a careful and responsible approach required under tax laws. The client’s best interest and overall needs stand at the forefront of the firm’s professional activities. The comprehensive tax solu-tions offered are made after examining the client’s specific characteristics and matching the solutions that best suit the client’s profile and business activity, with the intention to maximize the tax results. A strong emphasis is placed on finding practical solu-tions, including arrangements with tax authorities that give the firm’s clients financial certainty. The firm’s areas of expertise in tax law focus on such matters as income tax, international taxation, VAT, real estate taxation, municipal taxation, high-tech taxation, taxation of non-profit organizations (e.g. public associations and institutions), tax-related offenses, money laundering offenses, Voluntary Disclosure Procedure in relation to individuals and/or Trust, and legal opinions on a broad spectrum of legal issues in the field of taxation. The firm also specializes in the fields of commercial law and real estate law. In addition to its expertise in all aspects of taxation law, Dr. M. Druker & Co. offers an extensive range of quality legal services in the commercial sector and the field of real estate law with an emphasis on personal service. These creative and effective ser-vices encompass each and every stage of various transactions, starting with the formation of a business plan, via negotiations, preparation of contracts and varied contractual engagements, and provides ongoing legal advice throughout the duration of the business engagement, whilst giving a unique, professional emphasis to the different aspects and far-reaching conse-quences of tax-related issues stemming from the transactions. This grants the client genuine added value. Services include: legal advice regarding the setting up of business activities and enterprises as well as tax planning for the exe-cution of transactions and setting up of various legal entities; representation of clients before the various tax authorities, and before the courts (at all levels) in matters of tax; representation of clients in applications for pre-rulings; and the drafting of legal opinions. An efficient, experienced senior staff of professional attorneys, known for their personal and professional excellence, personally provide the various legal services rendered by Dr. M. Druker Law Firm. Most of the firm’s attorneys formerly held positions with the tax authorities. Dr. Moshe Druker’s years-long experience and widespread professional activity in the world of taxation are reflected in the le-gal services that the firm’s team provides. With a Ph.D. in Economics, an advocate and accountant, Dr. Moshe Druker has contributed greatly to the formulation of the tax system in Israel by diverse public activities. Inter alia, Dr. Moshe Druker served as a member in two “Rabinowitz” committees dealing with income tax reforms (heading the international taxation subcom-mittee) and real estate taxation. He chaired the committee for the admissibility of account books in the matter of income tax and VAT legislation and the Israeli branch of the International Fiscal Association (IFA). In addition, Dr. Moshe Druker serves in the Israeli Bar tax committees, in the Israel Securities Authority, as Chairman of the ICPAS disciplinary court and as Director of several government companies (the Israel Electric Corporation and a Bank Leumi subsidiary, among others). The firm’s work in the field of international taxation is headed by Dr. Yehoshua Sherman, formerly the Director of the International Tax Department of the Income Tax Commission (currently the IRA), who participated in tax treaty negotiations between Israel and over 25 other countries, including USA, China and the Netherlands. He also represented the IRA in procedures involving foreign tax authorities where legal disputes arose regarding the scope of taxation rights in Israel and abroad, was a member of the Israeli delegation to the OECD in matters of e-commerce, served as special advisor to the “Rabinowitz” committee on interna-tional taxation reform, and represented the State of Israel in negotiations with the Palestinian Authority on matters of taxation. As a result of those negotiations, two major agreements were signed between the State of Israel and the Palestinian Authority on matters of taxation. In international tax the firm also specializes in matters regarding “returning” Israelis and pre-ruling on res-idency and tax refund issues. Additionally, the firm provides legal opinions on a wide variety of issues, which arise in the field of international taxation. The firm’s vast assortment of clients comprises many companies and businessmen, both Israeli and international, including gov-ernment companies, banks, insurance companies, contractors, high-tech and biotech companies, diamond dealers, local authorities, lawyers and accountants (in cases regarding taxes, encompassing the criminal aspect).